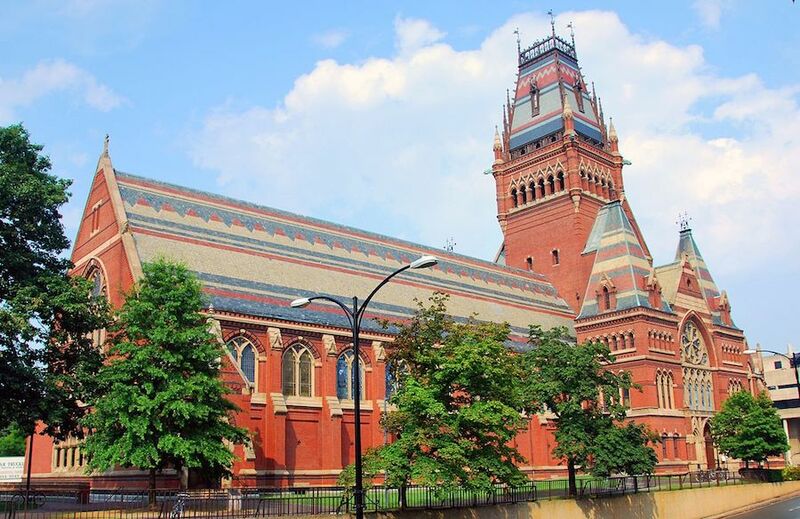 Harvard University is tops among Ivy League Schools, and is one of the most frequently searched universities in the world, according to a recent internet keyword search of American colleges. 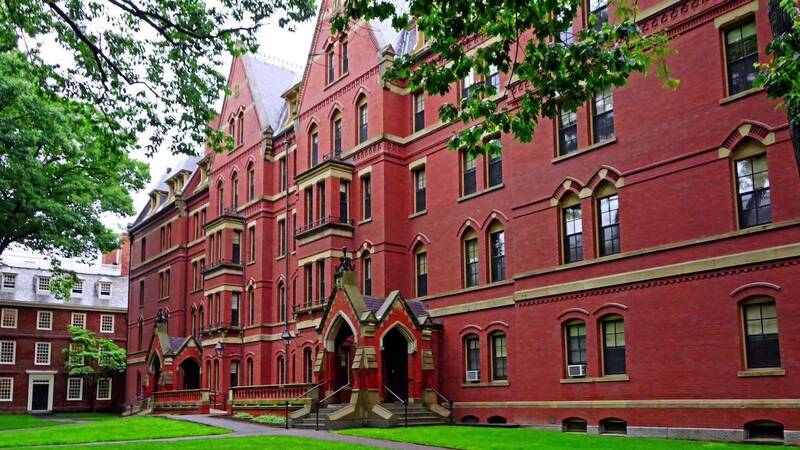 Harvard is a private research university located in Cambridge, Massachusetts. The school was established in 1636. In fact, it is the nation's oldest institution of higher learning. Harvard University currently maintains an enrollment of roughly 21,000 undergraduate and post graduate students. Harvard has always been among the world's most difficult schools to get in to, with an acceptance rate of only about 5 percent. Notable Harvard graduates include 8 U.S. Presidents, hundreds of Rhodes Scholars, numerous Nobel laureates, and many dozen billionaires, not to mention all the winners of Academy Awards, Pulitzer Prizes, and Olympic medals. 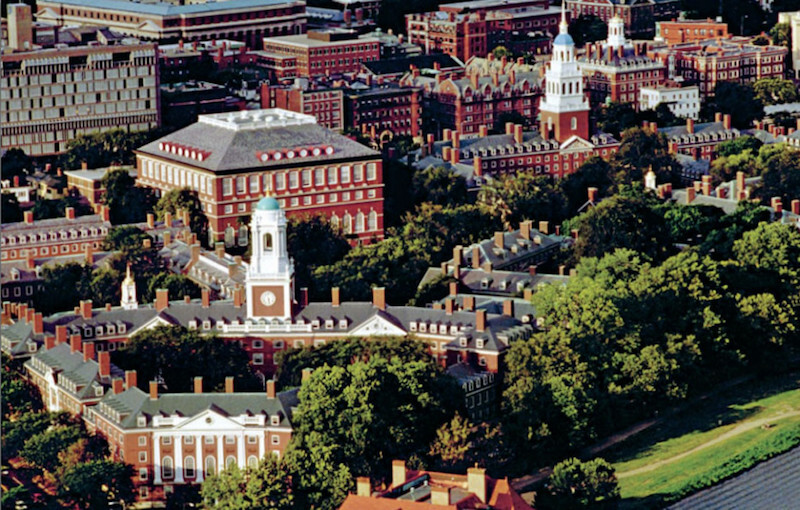 Harvard is accredited by the New England Association of Schools and Colleges. Shown above: An aerial view of the Harvard campus in Cambridge. Here are the answers to some frequently asked questions about Harvard. 1. Where is Harvard University? 2. What programs are offered at Harvard University? Harvard offers hundreds of undergraduate majors, graduate degrees, and professional degrees in many fields of study, including medicine and law. Like other Ivy League schools, Harvard's main focus is on graduate programs, although nearly one third of Harvard students are undergrads. Undergraduate students typically attend the School of Arts & Sciences. Above: Inside the architecturally stunning Memorial Hall. 3. 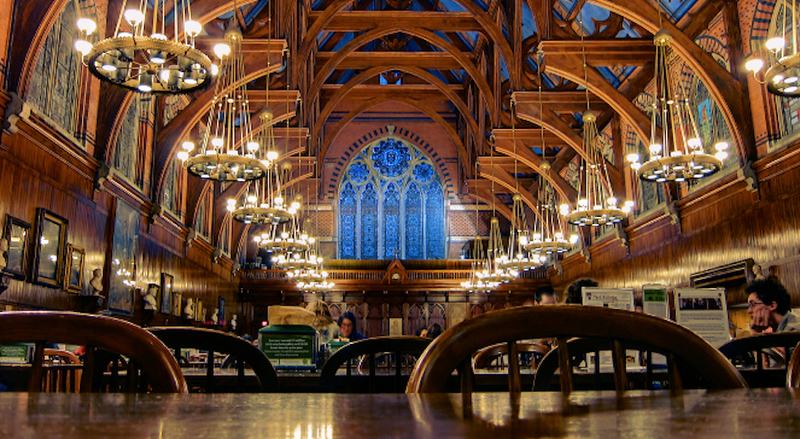 What courses are taught at Harvard University Law School? Above: Harvard Law School, considered the best of all Ivy League schools. 4. How much does it cost to attend Harvard University? Additional fees may also apply. These may include application fees, lab fees, materials fees, technology fees, insurance fees, and others. Students must also factor in personal expenses and transportation costs. Families with incomes below $65,000 pay nothing for their children to attend Harvard, including room and board. Families with incomes between $65,000 and $80,000 pay only a few thousand dollars per year. Families earning between $120,000 and $180,000 pay no more than 10 percent of their annual incomes. 5. What is the Harvard University campus like? Harvard's main campus occupies 209 acres on Harvard Square in Cambridge, just northeast of the Charles River. 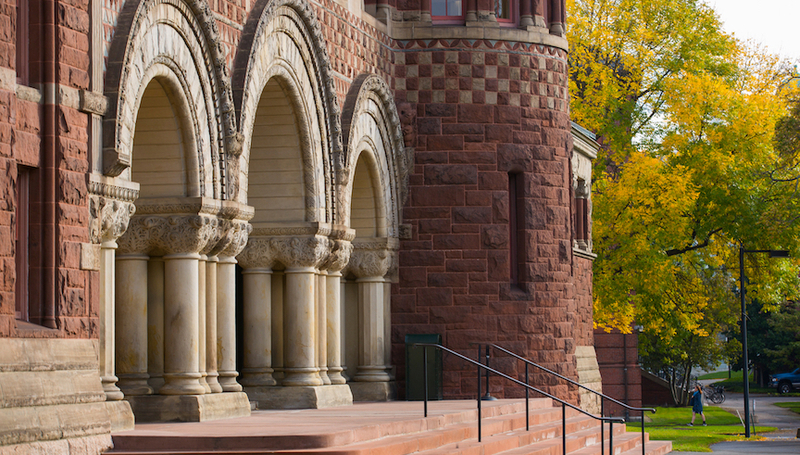 Like other Ivy League schools, the campus is home to some of America's most stunning architectural masterpieces, such as Sever Hall, University Hall, Massachusetts Hall, Memorial Hall, Memorial Church, and many more. Other campus structures include libraries, labs, and quite a few dormitories. Among the other on-campus organizations at Harvard are quite a few student interest clubs. These include music clubs, dance clubs, writing clubs, art clubs, language clubs, a student newspaper, and a wine society, for instance. 6. What are the distance learning options at Harvard University? Distance education is not the norm at Harvard, as traveling scholars come from all over the world to visit the Harvard Library. However, the school hosts an annual workshop in which students explore the possibilities of online learning. Click here for Ivy League Schools and More Than 50 Top Ranked Online Colleges. 7. What is the contact information for Harvard University? 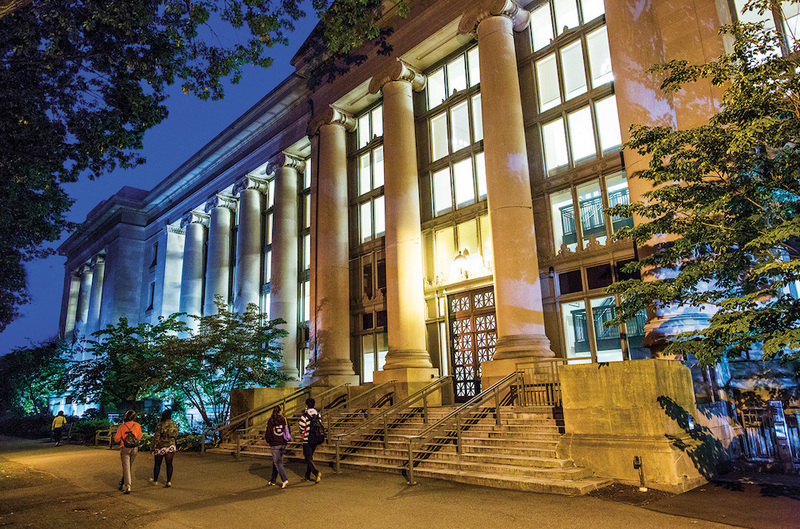 For general questions, you can reach the main campus of Harvard by calling 617-495-1000. For the admissions office at Harvard, call 617-495-1551, or send a fax to 617-495-8821.